Dr. David S. Eingorn is a board certified orthopaedic surgeon specializing in adult reconstructive surgery and general orthopaedics. He is one of the founders of Mercer-Bucks Orthopaedics. Dr. Eingorn graduated with his bachelor’s degree in biology from LaSalle University in Philadelphia and received his medical degree from Temple University School of Medicine. His Internship in surgery was carried out at the Presbyterian University of Pennsylvania’s Medical Center and was followed by his orthopaedic residency at Thomas Jefferson University Hospital. Dr. Eingorn has received recognition as a "Top Doc" in our region and holds a patent for the Universal Halo, which is used internationally for fractured spines. He also invented a hip jig for the DePuy Total Hip system. His hospital staff appointments include active staff status at Capital Health Systems in Trenton, N.J., and Robert Wood Johnson University Hospital at Hamilton in Hamilton, N.J. 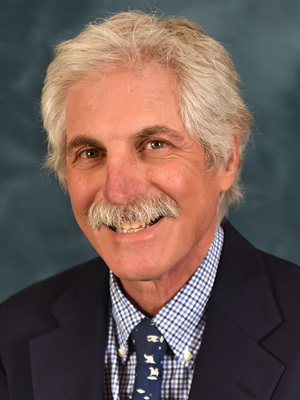 He also serves as an associate staff member at St. Mary Medical Center in Langhorne, PA., a consultant for Lawrence Rehabilitation Center in Lawrenceville, N.J., and a research consultant for Zimmer Orthopaedics Corporation. Membership in a number of professional organizations and a variety of publications and research are all parts of Dr. Eingorn’s ongoing professional development and success. Dr. Eingorn's professional history spans a variety of experiences and responsibilities, including volunteer surgery duty during the 9/11 attacks of the World Trade Center in New York City. He lives in Yardley, PA., and is married with two children. To schedule an appointment with Dr. Eingorn, please call (609) 896-0444 or visit MBOrtho.com for more information.